Rosso Collemandina is an historic italian marble, extracted from quarries located in Tuscany, near Lucca. It is a very fine marble, used for high quality projects. 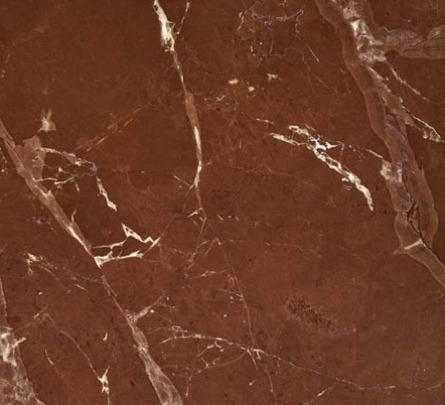 The slabs of Rosso Collemandina are characterised by the deep red color, very elegant, with some white-grey transparent veins. The productivity of the quarries lowered during the last years, and the blocks of Rosso Collemandina have low availability. This marble is commonly used for internal floorings, also because of its delicate colour and the vitreous structure. The slabs are usually resined in order to increase the structural strength and fix some micro-cracks. Ziche vacuum resins three times all the slabs of Rosso Collemandina in the modern factory near Brescia (IT). The best finishing for the tiles of marble is undoubtedly the polished one, because it enhances the singular colour and the nice veins. Rosso Collemandina is commonly used for floorings, stairs, tiles, claddings, ventilate facades, columns, chimneys,..